After visiting our booth at the MPLS Lake & Cabin Show, Jeri & Doug requested a free estimate for crawlspace encapsulation at their cabin. The crawlspace had a sand bottom and was very damp, musty and actually flooded in the past, due to a high water table. System design specialist, Bob Joyce, met with Jeri and Doug and inspected the crawlspace. Recommendations were made for drainage matting, CleanSpace vapor barrier and a SmartSump sump pump. Bob went over installation process, warranty information as well as costs involved. The job was scheduled - and now they have a dry, healthier cabin! Barefoot is the worst way to stub a toe! Settled concrete around the Rush City Aquatic Center posed quite the tripping hazard so they called on the experts from Innovative Basement Systems for a solution. System design specialist, Matthew Stromgren, met with Jeanne K., to inspect the areas of concern. Matthew made recommendations for PolyLevel foam injection to lift the concrete back to original position. He provided them with an estimate and it was accepted. The job was completed and turned out fantastic! No more stubbed toes due to settled concrete! Rental property owner in Rush City, MN made the call to Innovative Basement Systems to request an estimate for wateproofing an old church building he was renting out. There was water seeping in through the walls and upon inspection, it was also noted that thre was no sump pump. System design specialist, Shannon Dempsey, made recommendation for wateproofing with the WaterGuard drainage system and the SuperSump sump pump. Additionally, recommendation was made to add CleanSpace moisture barrier to the walls. The owner was really impressed with our products and solutions and mentioned he had even more projects for us at his other properties. 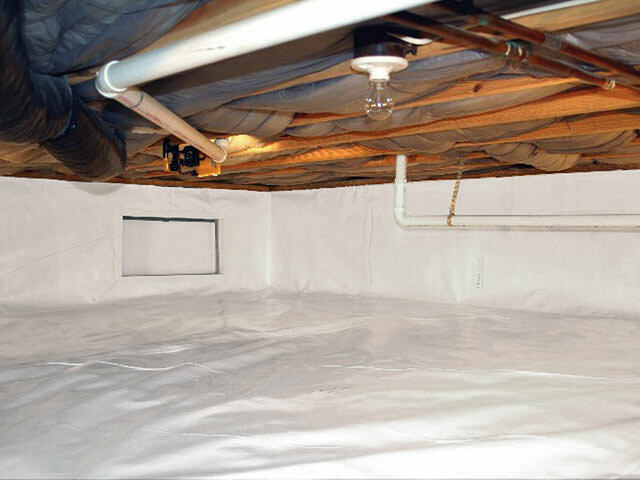 If you have water in your basement, let us offer you a solution! Call 877-365-0097 today. Basement floods every spring with the snow melt. As the water table rises. The water comes in at about the 3rd course of block. Our whole basement keeps flooding. 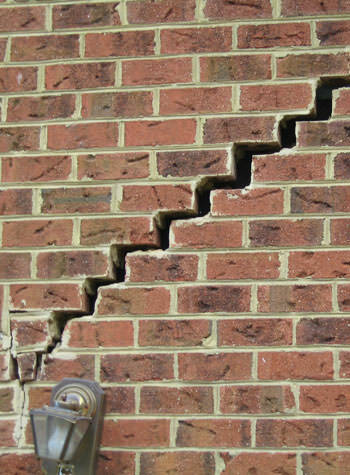 At Innovative Basement Systems, we specialize in crawl space problems of all types. The raised dimples on our CleanSpace Drainage Matting gives the water flooding into your crawl space a channel underneath your crawl space liner. At Innovative Basement Systems, it's our job to make sure that your musty crawlspace is transformed into a clean, dry, and energy-efficient space. Polymer injection harnesses the expansive force of a structural grade geopolymer to provide fast concrete leveling, fill voids in soil and strengthen soil that has poor load-bearing qualities. The polymer consists of two separate liquids that are combined right at the injection nozzle to trigger a chemical reaction that turns the blended ingredients into expanding, high-density foam. The foam flows into voids and between loose soil particles, expanding to about 15 times its initial volume. This expansive action effectively lifts settled concrete. An experienced technician, like those at Innovative Basement Systems, can control the application to create just the right amount of raising pressure. No more stubbed toes! After stopping by our exhibit at the Minneapolis Lake & Cabin Show, cabin owners - Jeri & Doug, requested a free estimate appointment for crawlspace encapsulation at their cabin. The crawlspace had a sand bottom and was very damp, musty and actually flooded in the past, due to a high water table. Innovative's system design specialist, Bob Joyce, met with Jeri and Doug and inspected the crawlspace. Bob made recommendations for encapsulation with drainage matting, CleanSpace vapor barrier and a SmartSump sump pump. Bob went over the installation process, warranty information as well a review of all costs involved. Jeri & Doug were impressed with the plan and signed off on the contract. Another dry and healthy cabin in lakes area!